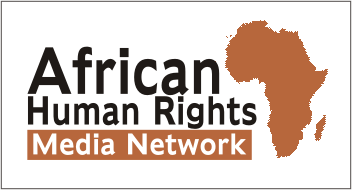 Help feed 3 mistreated, hungry gay prisoners – Rights Africa – Equal Rights, One Voice! 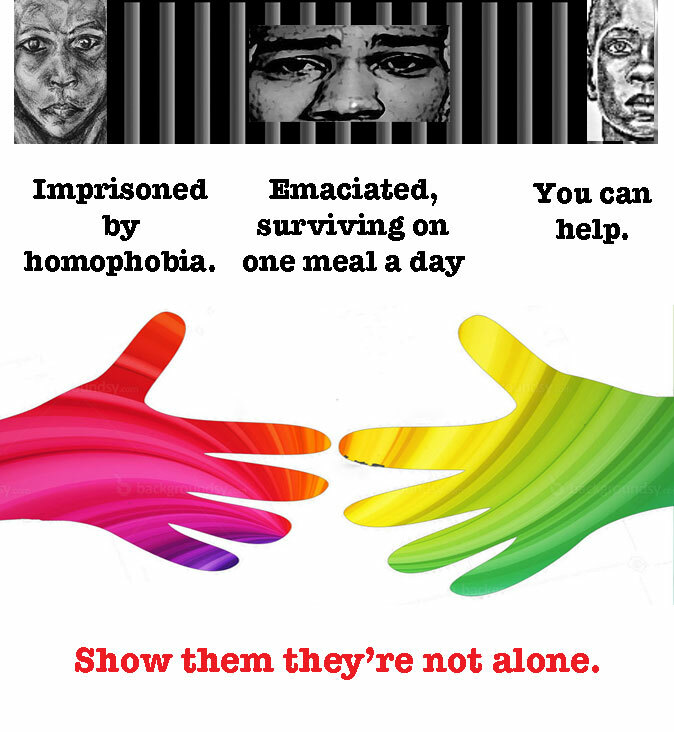 You can make a difference in a world that’s awash with homophobia: Your donation will be used to buy and deliver food for three close-to-malnourished young men imprisoned in northern Cameroon, victims of that country’s anti-gay law. Ismael, Abdelaziz and Ibrahim are serving multi-year sentences in two prisons in northern Cameroon. Tried and convicted of nothing but falling in love with men, they daily face the risk of malnutrition and disease because Cameroonian prisons provide just one small meal a day, prepared and served with scant attention to hygiene. Many other prisoners receive food shipments from family members, but not Ismael, Abdelaziz or Ibrahim. They are gay Muslims in a conservative Muslim-majority region. Their families have disowned them. But with your help, the three young men will receive supplementary food through the Pas Seul / Not Alone project, organized by the Erasing 76 Crimes and 76 Crimes en français blogs and by the St. Paul’s Foundation for International Reconciliation. Donations to the project will be used to buy food and deliver it to the three prisoners. This work in northern Cameroon is the second phase of the Pas Seul / Not Alone project, which began last summer in Yaoundé. At the Yaoundé Central Prison, three other gay men — Olivier, Eric and Albert — received food deliveries in early August and early September, paid for through readers’ generous donations. In September, the release of those three gay men left the prison with no more prisoners serving time there for homosexuality. 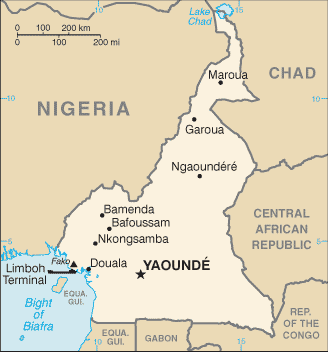 But in northern Cameroon, the three other prisoners are still serving sentences of up to six years for homosexuality. Garoua is in northern Cameroon. There, the second phase of the project has been organized in cooperation with the local an LGBTI advocacy group, Youth Solidarity Association of Garoua. Members of the group will deliver the food to the prisoners, who are in cells at the Tcholliré and Guider prisons outside Garoua. The money will be transferred to Cameroon after being collected by the St. Paul’s Foundation for International Reconciliation (a U.S. tax-exempt charity). We estimate that it would cost an average of $195 per month to purchase and deliver six months’ worth of food, including prison entry fees, fund transfer fees and the cost of follow-up visits to the prisons by independent observers who will to verify that the food deliveries actually take place. An invitation to send messages from support to your new distant friends care of 76crimes@gmail.com. We will publish three individual articles about the three prisoners in the days ahead. If you want more information about the prisoners, you can contact reporter Steeves Winner at steeves.w@yahoo.fr. The prison sentences for these men extend to 2021. We hope the Pas Seul / Not Alone project can continue that long (or that the prisoners will be released early), but we will evaluate the project’s successes and challenges before extending it past mid-2019. For now, please help us launch the nutrition project for the sake of these three Cameroonian victims of homophobia.